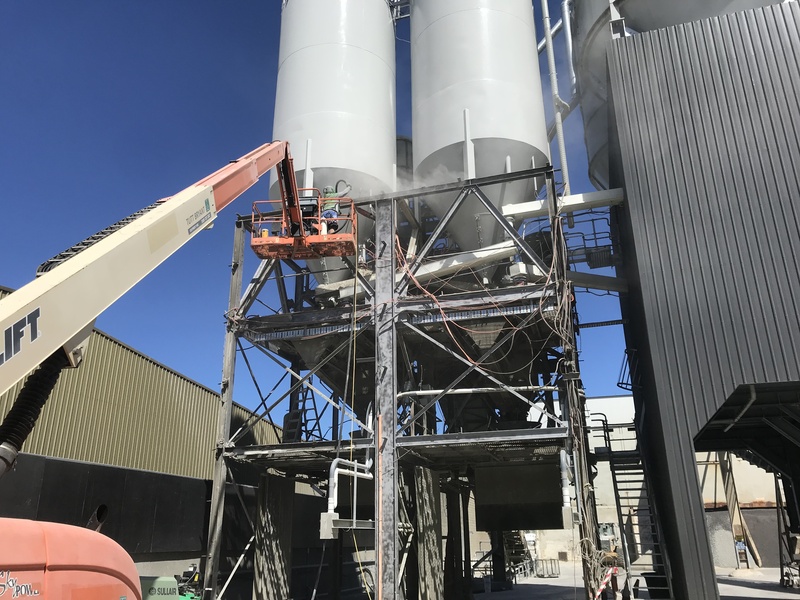 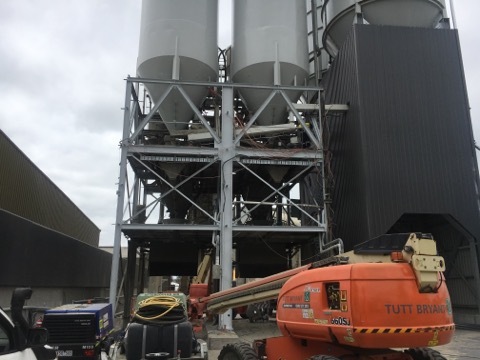 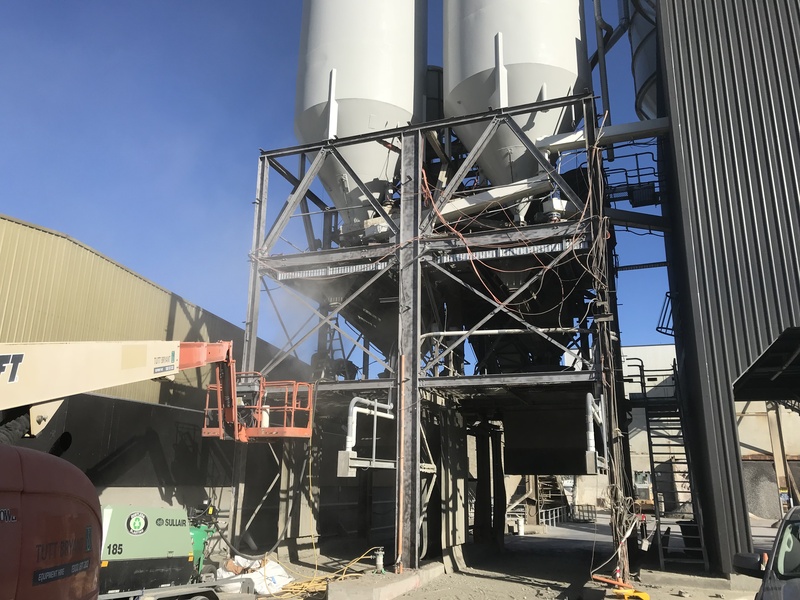 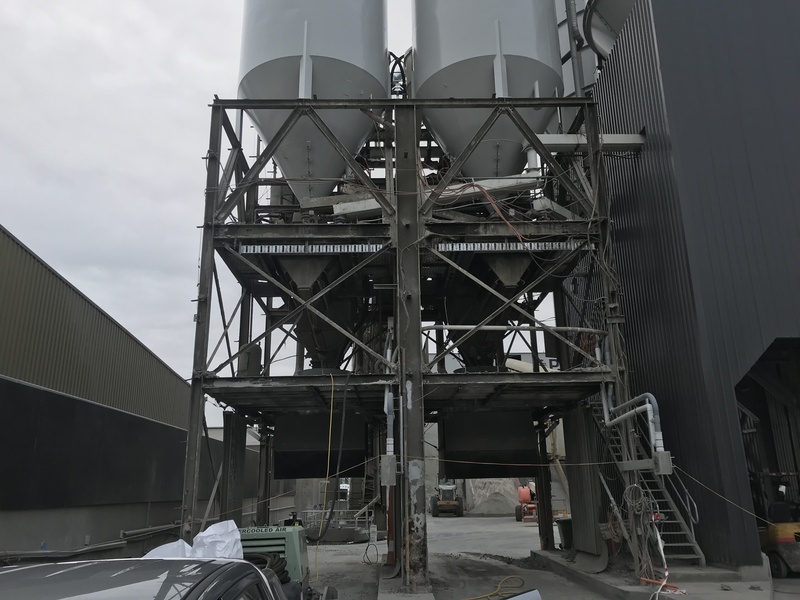 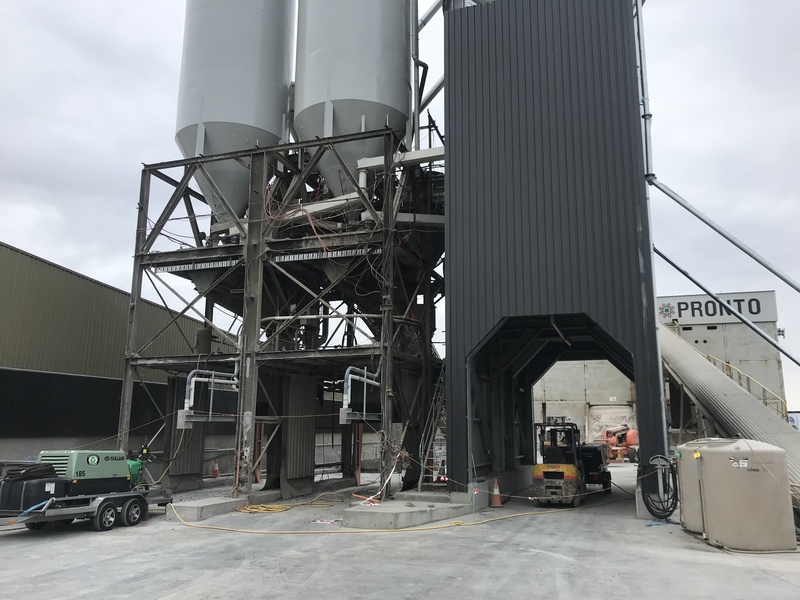 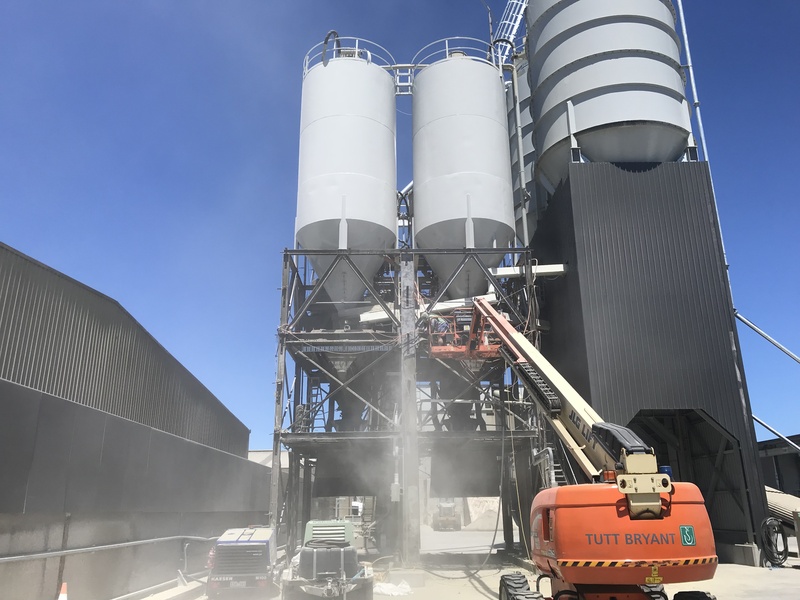 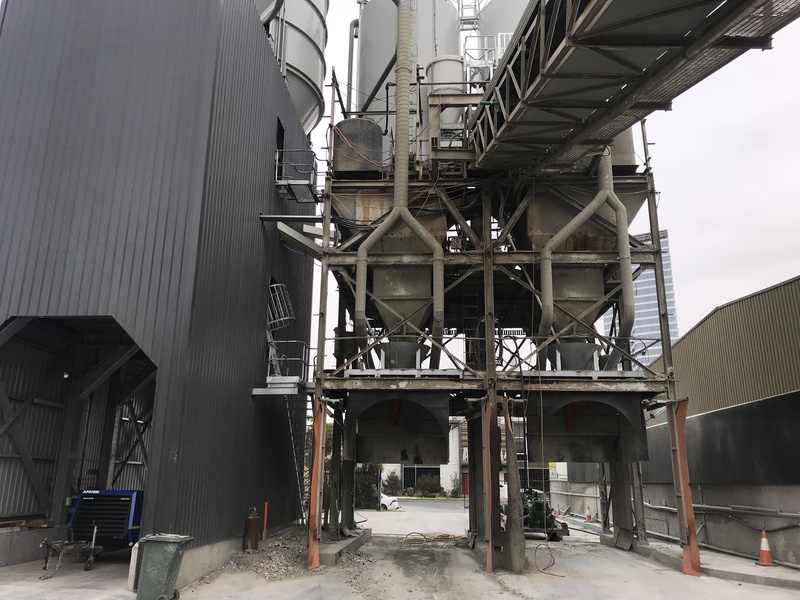 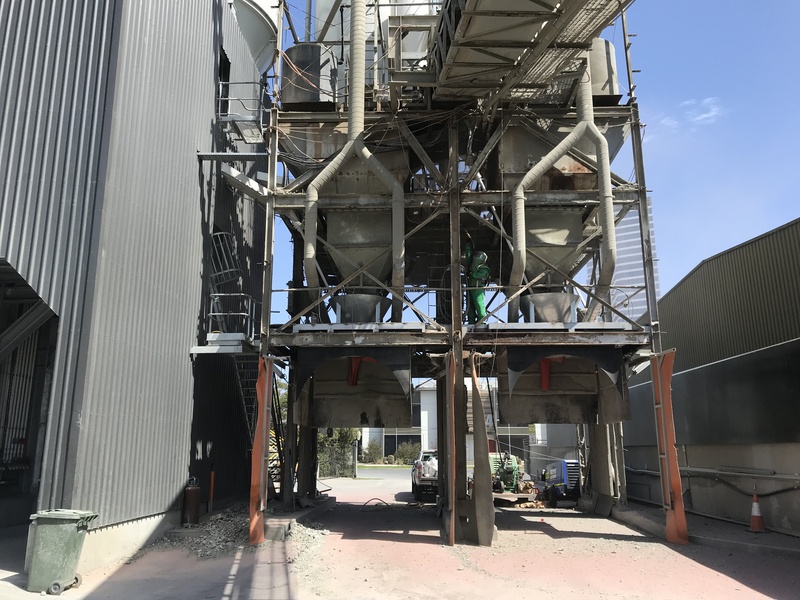 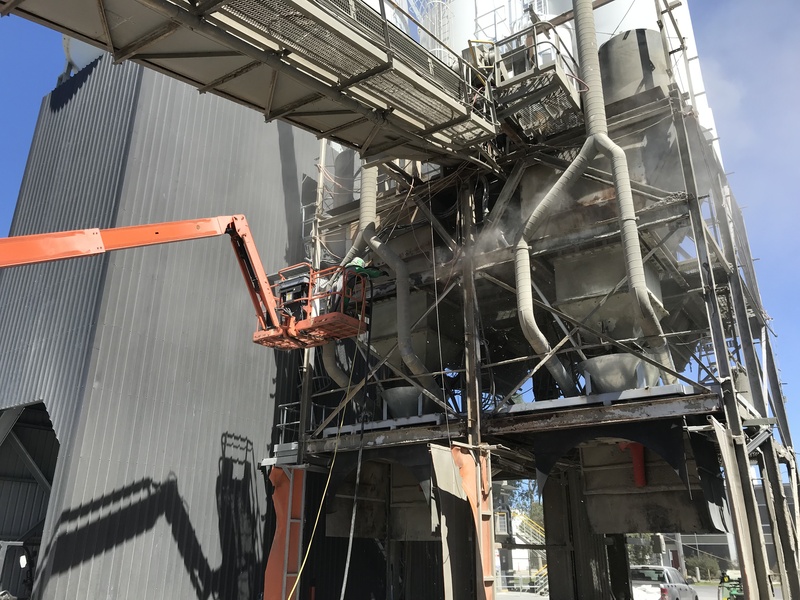 Pronto Concrete (Barro Group) engaged the services of VacuBlast’s highly-skilled industrial blasters and painters to clean and restore the structure steel module located onsite their Port Melbourne Plant. 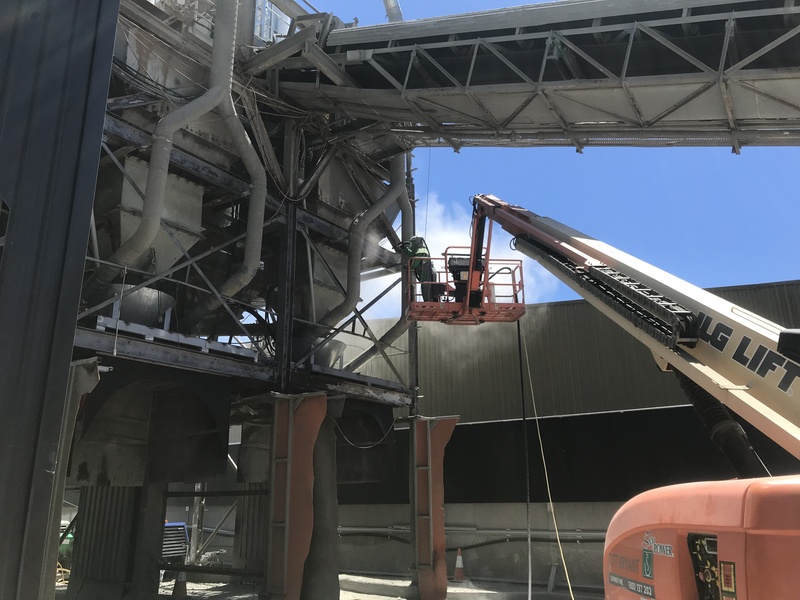 Requiring the removal of multiple years of concrete build up from the steel surface, in addition to increasing the aesthetic appeal of the module. 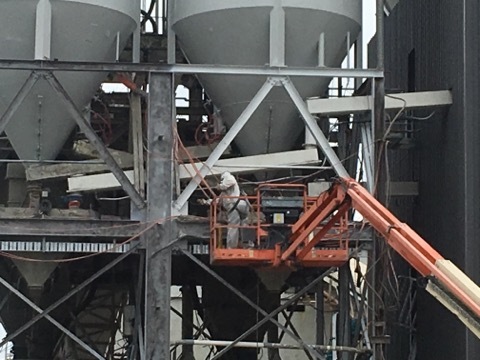 Completed during plant shutdown, VacuBlast was able to remove a large degree of concrete from the steel surface using an abrasive blasting technique, preparing the surface to AS 1627.4, class 2.5 finish prior to the application of protective coating. 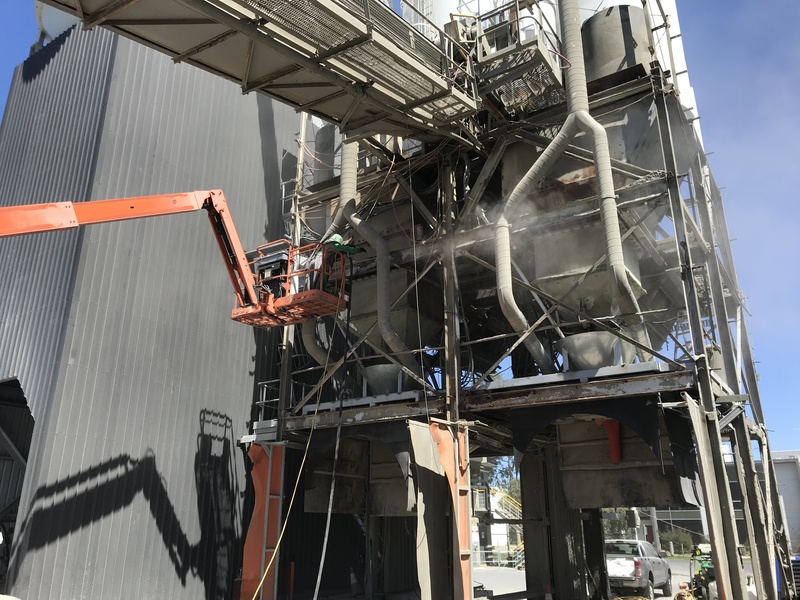 Following the sandblasting process, using an airless spray methodology our technician applied a specified Dulux industrial coating system to the client’s specifications. 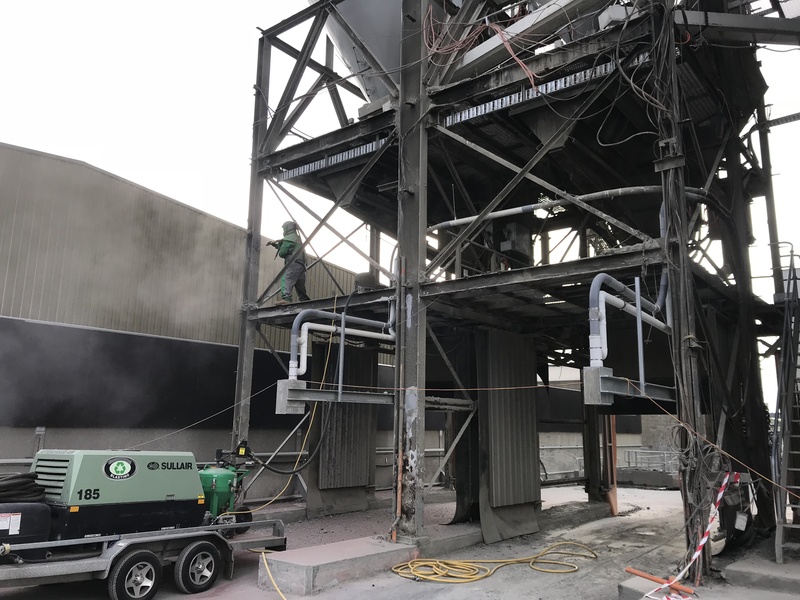 Provided with minimal window of opportunity to complete the project during shutdown, VacuBlast was able to deliver an on-time quality and durable finish of the steel module, combatting corrosion of the sub-frame in addition to increasing the aesthetic appearance.